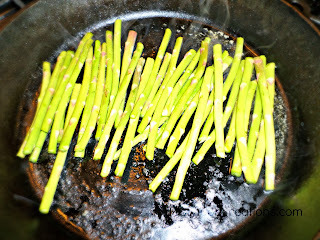 Melt about one tablespoon of butter over medium heat in a pan. 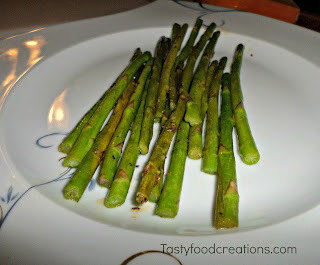 Add asparagus in, salt and pepper to taste, cook for about 5 minutes or so, turn every minute or 2. 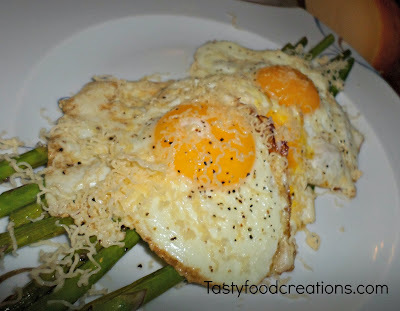 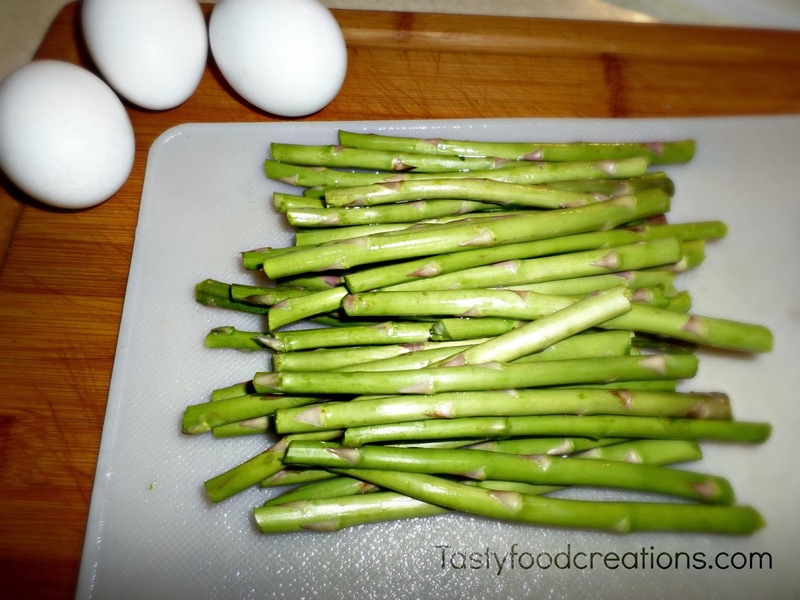 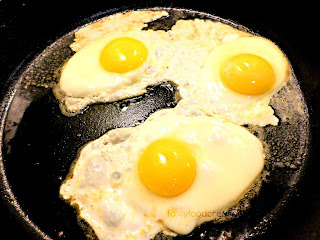 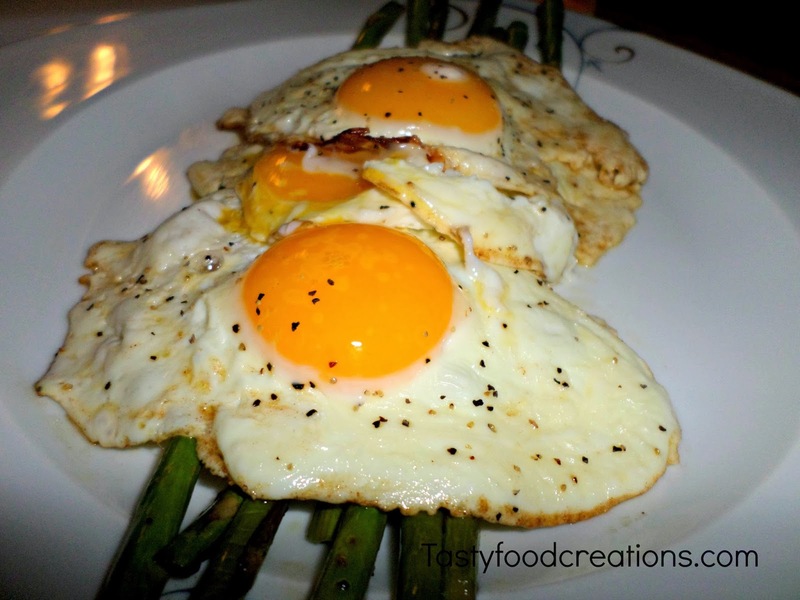 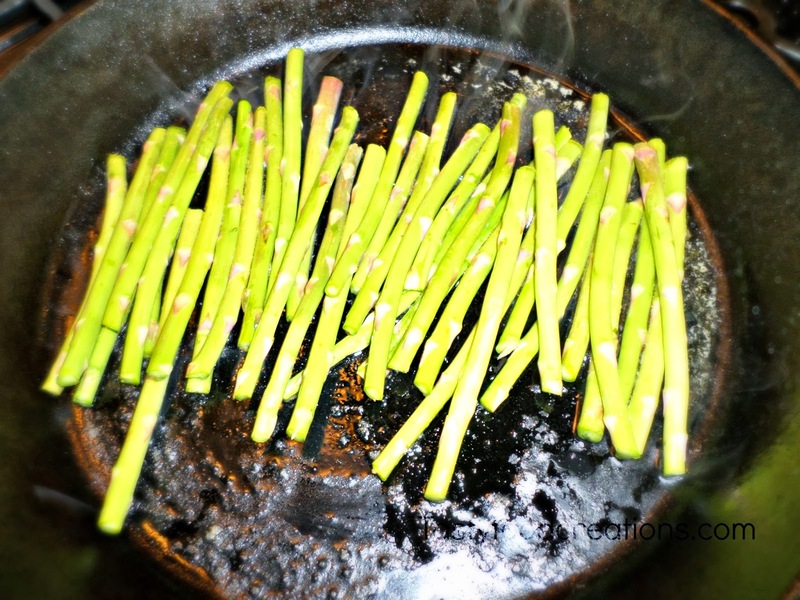 At the same time fry eggs in other pan, or remove asparagus when done and fry eggs in the same pan.